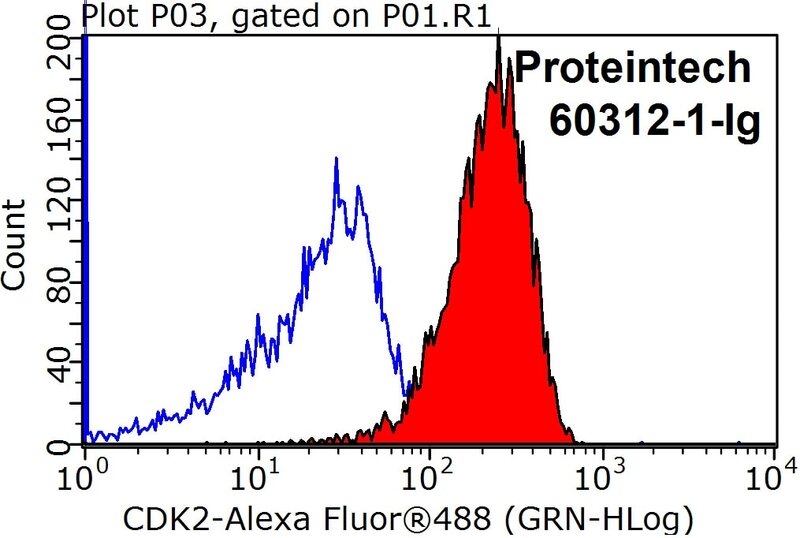 1X10^6 Jurkat cells were stained with 0.2ug CDK2 antibody (60312-1-Ig, red) and control antibody (blue). Fixed with 90% MeOH blocked with 3% BSA (30 min). 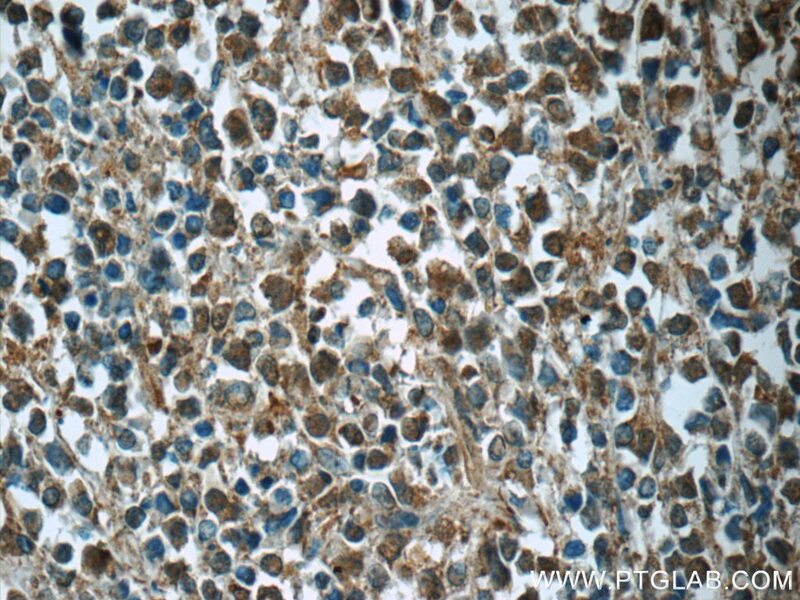 Alexa Fluor 488-conjugated AffiniPure Goat Anti-Mouse IgG(H+L) with dilution 1:1000. 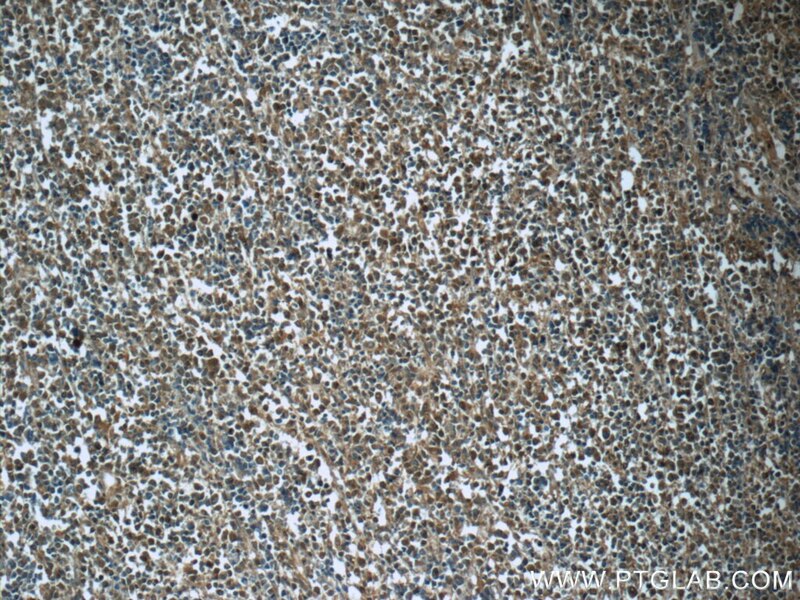 CDK2(Cyclin-dependent kinase 2) is also named as CDKN2 and belongs to the protein kinase superfamily,CMGC Ser/Thr protein kinase family, CDC2/CDKX subfamily.It is involved in the control of the cell cycle; essential for meiosis, but dispensable for mitosis.It has 2 isoforms produced by alternative splicing. 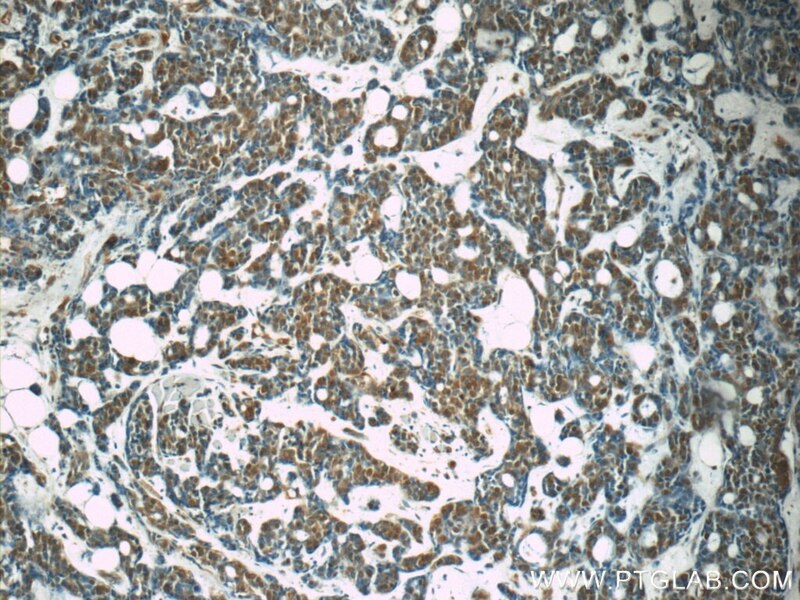 High expression of N-myc (and STAT) interactor predicts poor prognosis and promotes tumor growth in human glioblastoma. 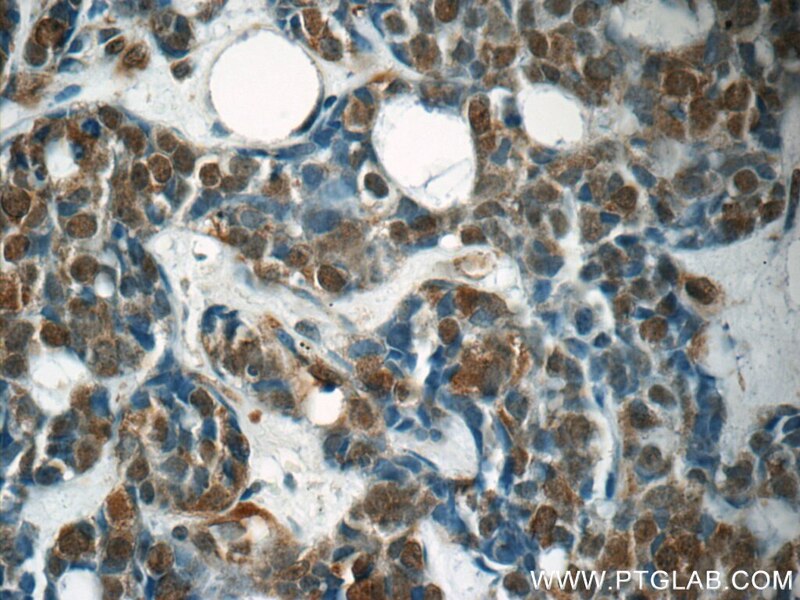 Poly(rC) binding protein 2 (PCBP2) promotes the viability of human gastric cancer cells by regulating CDK2.